Nine of the last ten recessions have occurred under Republican Presidents. 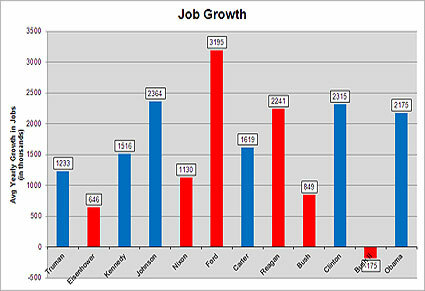 Democratic presidents create nearly twice as many jobs per year as Republican Presidents. 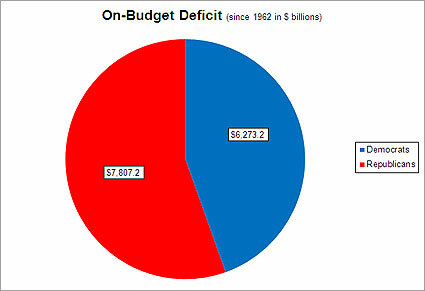 Republican presidents' deficits are 25% larger than Democrats' and 63% higher as a percent of GDP. 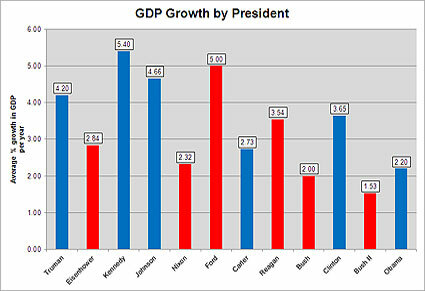 GDP grows 44% faster under Democratic Presidents. Business investment has grown twice as fast under Democratic Presidents than under Republican Presidents. This data is compiled by offsetting a President’s Administration by a year to account for the fact that the Federal budget for any given fiscal year is drafted and passed in the previous calendar year. For example, 1993’s budget was drafted and passed in 1992, during the Bush administration, so that year is ascribed to President Bush, even though President Clinton was in office in 1993. One exception has been made: 2009’s ARRA was drafted and passed by the Obama administration, creating $114 billion of Federal outlays for 2009. 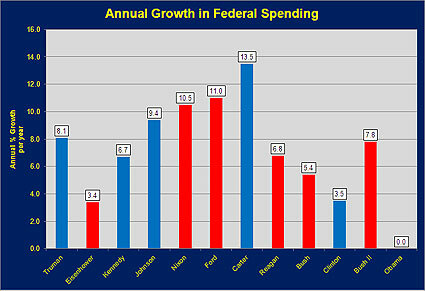 That amount has been subtracted from President Bush II’s 2009 budget/deficit total and added to President Obama’s. Since World War II . 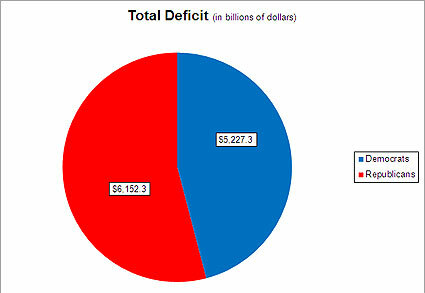 . .
· The deficit under Republican Presidents has been more than twice as large as the under Democratic Presidents. In dollars, Republican Presidents have contributed nearly $4 trillion more to the national debt than Democratic Presidents. 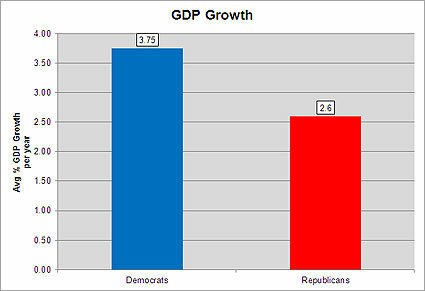 · GDP growth has been 44% higher under Democratic Presidents. 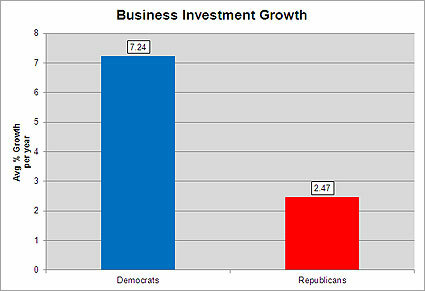 · Business Investment Growth has been 165% higher under Democratic Presidents. 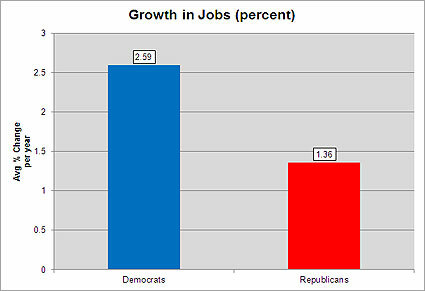 · Unemployment has been 18% higher under Republican Presidents. Democratic Presidents have helped create 24.4 million more jobs than Republican Presidents, and on year-toyear basis jobs have grown nearly twice as fast under Democratic Presidents as under Republican Presidents. 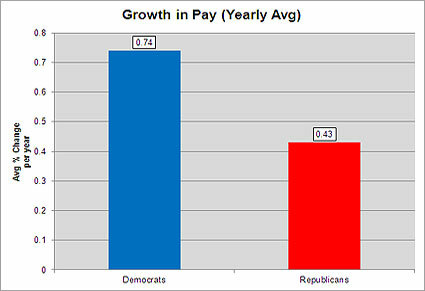 Real Gross Domestic Product growth under Democratic Presidents has been 44% higher than during Republican Presidents. 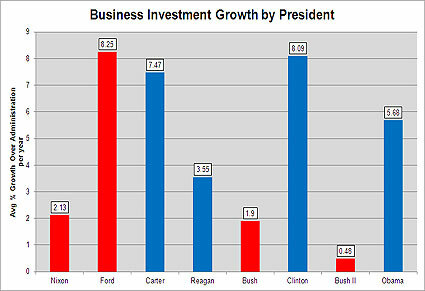 Real business investment growth under Democratic Presidents has been 193% higher than under Republican Presidents. Federal budget deficits under Republican Presidents collectively are 24% higher than under Democratic Presidents (as a percentage of GDP, Republican Presidents have been 63% higher than Democratic Presidents). 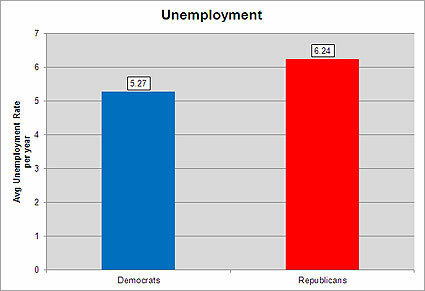 Unemployment under Republican Presidents has been 18% higher than under Democratic Presidents. 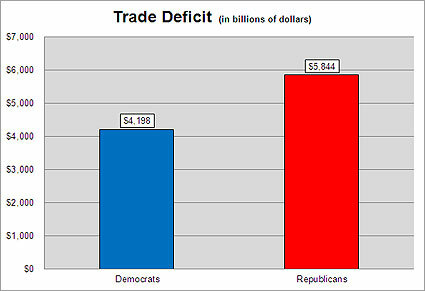 Trade deficits under Republican Presidents have been 39% higher than under Democratic Presidents. 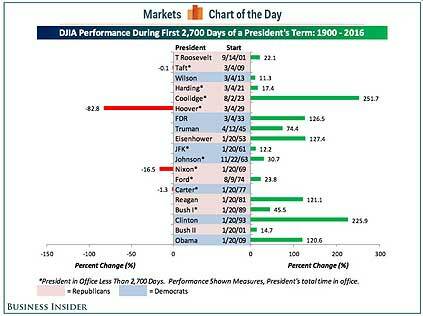 The Stock Market under Democratic Presidents has grown 200% faster under Democratic Presidents than under Republican Presidents. For more detailed information and specific sources, click on the topic above. Most Sources from: Statistical Abstract of the United States; 1992-2015 Economic Reports of the President, Congressional Budget Office, Bureau of Labor Statistics, all data since World War II. *Jere Glover has been collecting and publishing this data since 1980, 21st Century has been publishing the data on its website for 10 years. Data compiled here come from official government sources such as Statistical Abstracts of the United States, the Economic Reports of the President, and the US Census Bureau.